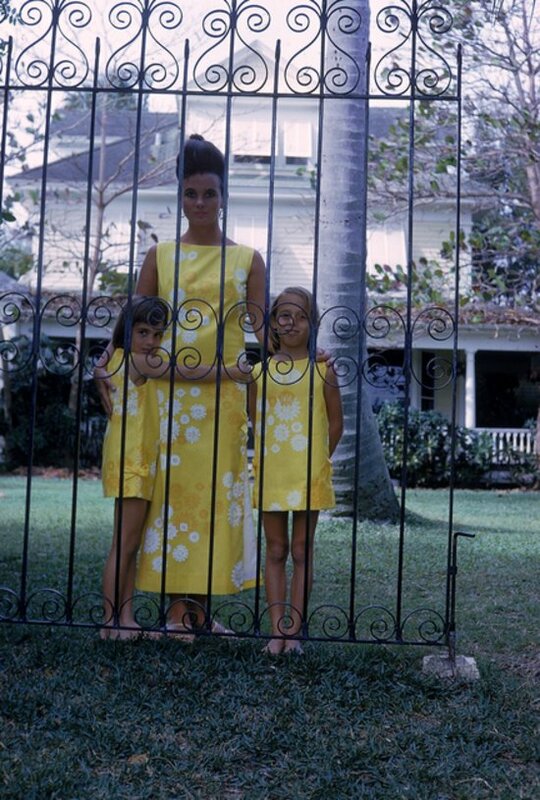 Lilly Pulitizer was born into wealth and created a fashion line that fit the famous and rich Palm Beach socialites she knew. Vibrant, tropical prints made her clothing line stand out. She was dubbed the Queen of Prep and dressed everyone from model Cheryl Tiegs to former classmate Jacqueline Kennedy. Living in CT, Lilly Pulitizer is now a staple for any preppy girl's wardrobe. Palm Beach prep with a lot of color and life. Lilly was also known for her charitable nature, an original and complete trendsetter with a fun personality and style. The story of how it all started was when Lilly was squeezing fruits at her and her husband's juice stands. The juices would create a mess of her clothes and she came up with a shift dress with colorful prints to hide the juice stains. The design of the dress was thick but also unfitted to keep her cool under the Palm beach sun. After creating samples, she was out of the juice business and now into the fashion business. 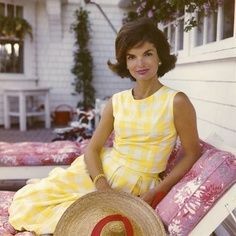 Her colorful shift dresses were completely different from the structured and constricted dresses of the 50's and 60's. Forget the wiggle dresses and make room for colorful shift dresses that would remind you of flamingos and colorful sunsets of southern Florida. I found this vintage Lilly Pulitzer dress at Vintathromodern in New Haven and had to have it. It gave me Megan Draper boho vibes. Elizabeth Grant captured it perfectly..